release is actually COURTNEY 230. The blue label Lucky White seems to be identical to the black label Leodie Jackson, down to the burp. But they have different matrices. The maroon label is the best version and obviously different than the other two, even though it has the same matrix as the black label Leodie. Unless my ears deceive me. Al: do you have a good photo of Leodie Jackson? 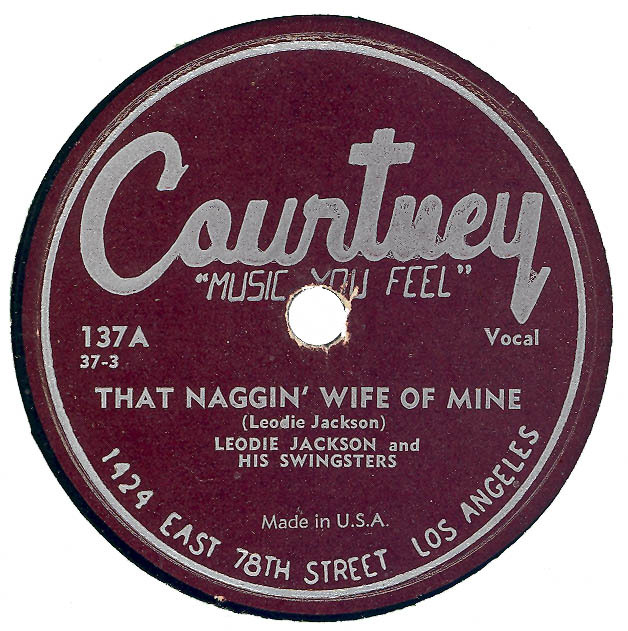 Agree with the comment above, but want to add that the vocal credit to Leodie Jackson is incorrect. The vocalist is Terry Fell, without question, on both versions. 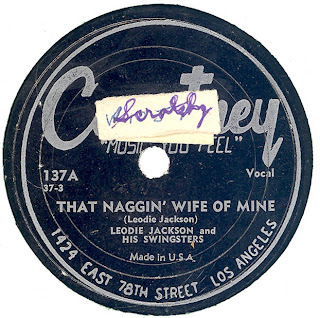 Al -- what is the flip of 130/230 B -- is it also from the Leodie/Fell sessions, or is it actually a Lucky White recording. Lucky White was from Arizona, wasn't he? 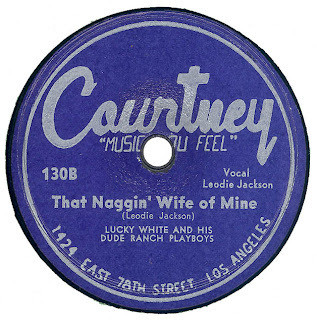 Wonder why Courtney issued that record again under White's name? To the best of my knowledge there are two releases on COURTNEY credited to Lucky White, although only two of the recordings may actually be by him. The Leodie Jackson connection is interesting. I'll post what else I know next week sometime. I'll also post a photo of Jackson.